Skiers who appreciate beauty and adventure will find an unforgettable ski experience in the Porkies. 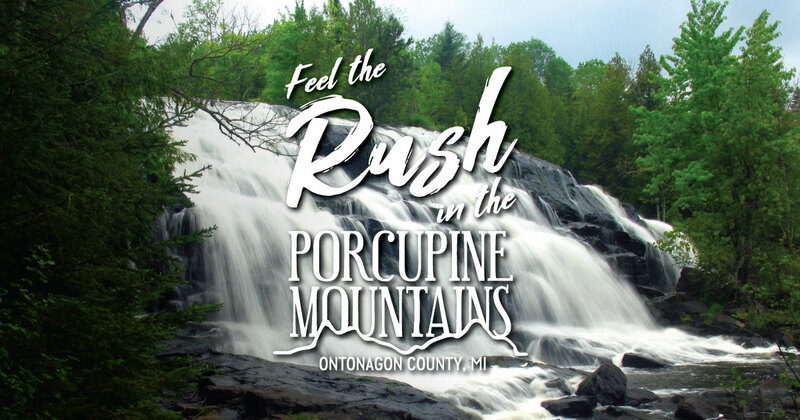 The Porcupine Mountains Ski Area is nestled in the Porcupine Mountains Wilderness State Park. When you step off the ski lift, turn around and you’ll know why you’re here. Lake Superior stretches out below like a vast blue inland sea, a dramatic backdrop to your day on the slopes. Here’s a guide to experiencing this incredible ski area. The hill is located on the park’s east side—just follow Highway 107 into the park. (You don’t need a park sticker to visit the ski hill.) When you arrive at the hill, you’ll find plenty of parking near the chalet. You can buy lift tickets for full or half days—or the full season. While the chalet is a nice place to warm up, there’s also an outdoor fire pit that is a pleasant place to relax on a winter day. If someone in your group is not a downhill skier, you’ll also find cross-country ski trails and snowshoe trails near the parking area. Find more information—including snow conditions, a ski hill map and a webcam—on the ski hill’s website. First time on skis? Hit the bunny slope, just outside the chalet. Once you’re comfortable, try one of the beginner runs—they offer a long, easy tour and some spectacular scenery. These runs are on the edges of the ski area—the Sunset run is on the west side and Hidden Valley is on the east side. There are lots of intermediate options in the heart of the ski area for those who want a faster-paced descent or a warm up for the most challenging trails. Try Ridge Run, Snow Valley, Hiawatha, Copper Run, Superior Plunge or Hemlock. The Porcupine Mountains Ski Area has several runs that will keep advanced skiers very happy. There are three black-diamond trails (Agate, Cuyahoga, Ojibway) and five challenging double black-diamond runs (The Jungle, Agate Glades, Porcupine Glades, Porcupine Plunge and Hemlock Glades).